Act #344: Make your home smarter. Imagine the lights turning on as you pull into your driveway, your favorite Christmas song playing on your home stereo system to welcome you, and a hot cup of tea brewing in the kitchen. That's exactly what smart home technology is all about: connecting all the devices and systems in your home so they can communicate with you (by reacting to your voice commands, a remote control, or a computer). The goal, of course, is to improve one's quality of life. Typically, smart home technology is reserved for people who have the financial resources to automate their lighting, home security, entertainment, and thermostat. But what if I told you that this cutting-edge technology was available to you right now for free? 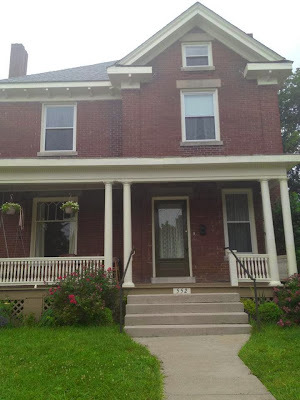 Please allow me to introduce you to the Justice House, located in the East End of Lexington, Kentucky, a wonderfully vibrant, diverse, neighborhood with just a few economic struggles. As soon as homeowners Tanya and Christian Torp moved in, the 19th century, two-story, brick home instantly became a "smart" home - one that began to connect and communicate not only with them, but with the entire neighborhood. All with a bottle of ketchup. 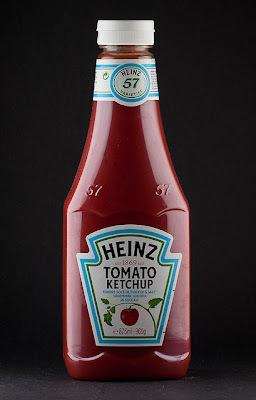 Five days after they moved into their new home, the Torps opened their doors to the surrounding community by holding their first "Heinz Breakfast". 120 people came. The breakfast was named after the previous homeowners who used to invite their friends over every Saturday for breakfast. The Torps of course, expanded the menu and tradition by including pancakes, waffles, and fair trade coffee, and have extended the weekly invitation to anyone who wants to attend. The Justice House (a name given to the Torp residence by one of their regular visitors) is so smart that it magically responds to the needs of the people who fill its rooms. When one visitor expressed fear and anxiety about his new health care options, the house hosted a workshop on the Affordable Care Act. When another expressed exhaustion thinking about Christmas shopping, the house began hosting December craft sessions where attendees spend the afternoon making homemade Christmas gifts such as hats, pottery, and handmade Christmas cards. When a group of immigration reform organizers couldn't afford to rent meeting space, it hosted their retreat. The house is also open for activists to organize, for communities to gather, for weekly bible studies, and for weary travelers to find respite. The Torps even partner with a local non-profit organization, Faith Feeds to bring a weekly delivery of fresh fruits and vegetables for their neighbors who don't have enough to eat. Upon walking into the Justice House, you will instantaneously be surrounded with love and light. The energy suddenly becomes warm and welcoming, and people magically begin connecting to each other, to their neighbors, to the world. You see, smart home technology really is available to anyone at any time.....just as soon as you are ready to enhance the quality of your life, not by connecting to your appliances and your alarm systems, but by connecting with those around you. I'm Tired. You Should Be Too. Why Wait for An Ice Storm?